Easy launch and long distance including Jailbreak in hybrids. Three striking finishes complement new High Energy Core. Special edition inspired by the precision of Swiss watchmakers. New red models and black options added after Tour feedback. Hollow head delivers forgiveness with blade style performance. New White Hot Microhinge face smiles on high MOI designs. In 1981 an American called Ely Callaway sold his vineyard for $14 million making a $9 million profit. Having excelled in the military and in business Ely could have settled into a comfortable retirement. Instead he bought a stake in a small club maker. Callaway Hickory Sticks USA would go on to become one the biggest equipment manufacturers in the world. Although a wealthy man, Ely Callaway understood that hard work would be the only to make his business work and he was prepared to do anything to help the firm grow – on occasion turning his Cadillac into an unlikely delivery van. By the mid 1980's Callaway had employed Richard C Helmstetter as chief club designer and with ranges like Callaway Edge and Callaway Persimmon the quality and attention to detail bestowed on every Callaway driver and Callaway iron was filtering through the golfing world. Callaway IronsIn 1988, when the company relaunched as Callaway Golf, sales had reached $4.8 million. By 1989 with both the S2H2 Callaway irons and the S2H2 Callaway driver on sale the company had broken the $10 million sales barrier for the first time. In 1990, with Callaway drivers the number one choice on the senior’s tour, that sales figure had doubled again. In 1991 Callaway launched the iconic Big Bertha driver. That year it carried Mark Brooks to two PGA Tour wins and by the end of 1992 it had become the number one driver on the LPGA Tour and the Champion’s Tour. By the end of 1994 Callaway’s impact had grown even more with sales bursting past the $250 million dollar mark and Callaway drivers now the number one choice of PGA professionals. The same year also saw the launch of Big Bertha Callaway fairway woods and the Big Bertha Callaway irons allowing all golfers the chance to enjoy the forgiveness of the Big Bertha throughout their bag. By 1995, with Callaway professional Annika Sorenstam capturing her first major, Callaway drivers had become the number one choice on every major tour in the world. By 1996 Callaway had become the world’s largest manufacturer of golf clubs and the range covered everything from Callaway drivers to Callaway wedges and Callaway putters. By the end of century Ely Callaway’s vision of being the biggest and the best was fully realised with Callaway’s annual sales now dwarfing their nearest competitors. In the new millennium Callaway signed Arnold Palmer and Arnie’s remaining appearances in tournaments around the world would seem him delight his fans with a bag full of Callaway clubs. Callaway PuttersCallaway had also purchased Odyssey putters and they continued to grow their market share and the launch of the Two Ball putter was to completely revolutionise the way manufacturers approached putter design. At the same time the launch of Callaway golf balls was also impacting on that notoriously competitive market. 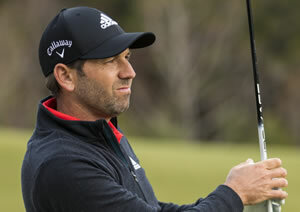 The quite incredible impact that Callaway had made in such a short period of time is best illustrated by the company's position of dominance: By 2003 Callaway drivers, Callaway irons and Callaway putters were the number one choice of world golf - as they had been for the previous seven years. Ely Callaway died in 2001 but today the company remains infused and enthused by the dedication and commitment he brought to the company he created.